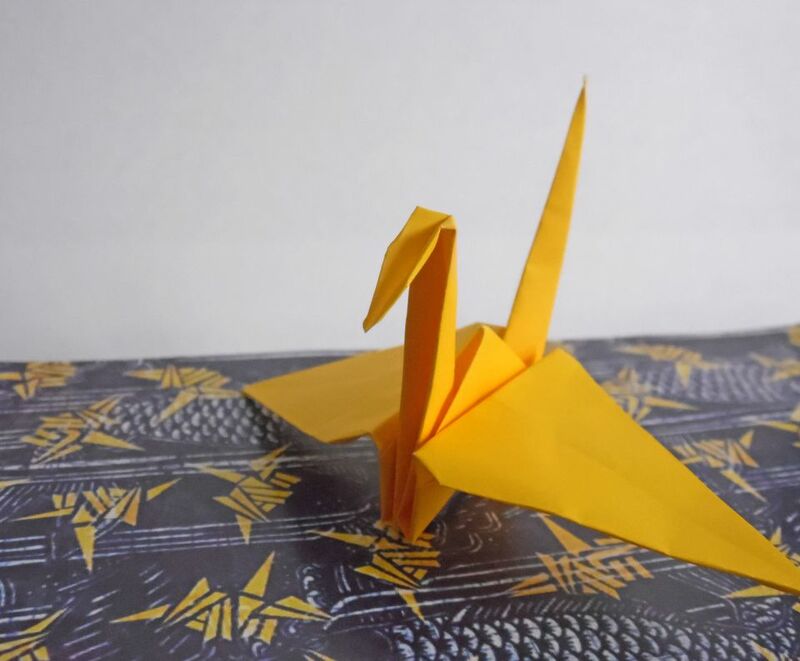 After completing an especially difficult origami model, you may find yourself wondering how many times you can fold a piece of paper. The commonly accepted wisdom is that you can't fold a single sheet of paper in half more than seven times. The problem with folding paper in half multiple times is that the paper's surface area decreases by half with each fold. A single sheet of paper may be easy to cut, rip, or tear, but a paper that has been folded in half multiple times becomes very strong because of the increase in density. MythBusters, a popular science program on the Discovery Channel, once featured the paper folding myth on its program. They determined that using a larger sheet of paper would make it possible to fold the paper in half more than seven times. MythBusters used a sheet of paper the size of a football field. By fold seven, everyone involved in the project finds it very difficult. However, the team eventually manages to fold the paper eight times with no tools. With the assistance of a forklift and steamroller, they get the paper to fold 11 times. You can watch the complete experiment on YouTube. In 2001, high school student Britney Gallivan of Pomona, California successfully managed to fold a paper in half 12 times by using a roll of long, thin specialty toilet paper that was 1.2 km in length. Her efforts were part of an extra credit project for a math class, in which she was challenged to fold anything in half 12 times. She first succeeded using thin gold foil and alternate directions of folding. Later, her teacher asked her to try the folding experiment with paper. Visit the Historical Society of Ponoma Valley website to learn more about her work or to purchase a special booklet outlining the calculations she used for her experiment. In 2012, a group of math students from St. Mark's School in Southborough, Massachusetts attempted to set a new paper folding world record by folding a toilet paper in half 13 times with help from their teacher James Tanton. However, unlike Britney Gallivan, they had taped together multiple rolls to make the toilet paper the required 1.2 kilometers. Since paper that is taped together isn't as strong as a single sheet, there is some debate as to whether this should count as a record-breaking attempt. Visit the New Scientist website to learn more about their project. In origami, you aren't folding your paper in half each time you make a crease. Because of this, origami models can be made with many folds. For example, the Red Sea Urchin designed by Hans Birkeland has 913 folds that require over 2,700 creases to be manipulated. Robert J. Lang's Flying Kabuto Mushi (Japanese Samurai Helmet Beetle) has 200 steps, including many steps with multiple folds and 21 steps that require the repetition of a previous sequence one or more times. Printer paper is typically about 0.004 inches thick. Origami paper is thinner than regular printer paper, so it is easier to fold multiple times. Metallic foil papers are even thinner than origami paper! Thinner papers work best for models with many folds. Thicker papers work better for projects that have fewer folds and need to be very sturdy when they are finished, such as origami gift boxes.